The Civil War in America started in 1861 for the supposed reason that they wanted to keep the United Sates united. After a while, it was apparent that there was another underlying cause to be fought for: the abolition of slavery. The Union soldiers of the north were fighting for the freedom of the slaves, and the Confederates in the south, where slave labor was relied on heavily, were fighting to keep it. Of course, this is the first thing you learn when you study the Civil War-the North and the South- but not everyone is accounted for and it leaves one question: How did the slaves come into play in the Civil War? When fighting first broke out, Confederate armies did not allow slaves in because they did not want them fighting alongside the whites in the armies. As their numbers dwindled however, they enlisted blacks to help their cause; ironically (and kind of awfully) making the blacks fight against their own freedom. Some slaves, however, ran away to fight in support of their freedom on the Union side. At first, the Union did not let slaves serve on their side, but eventually, in 1862, accepted the help. 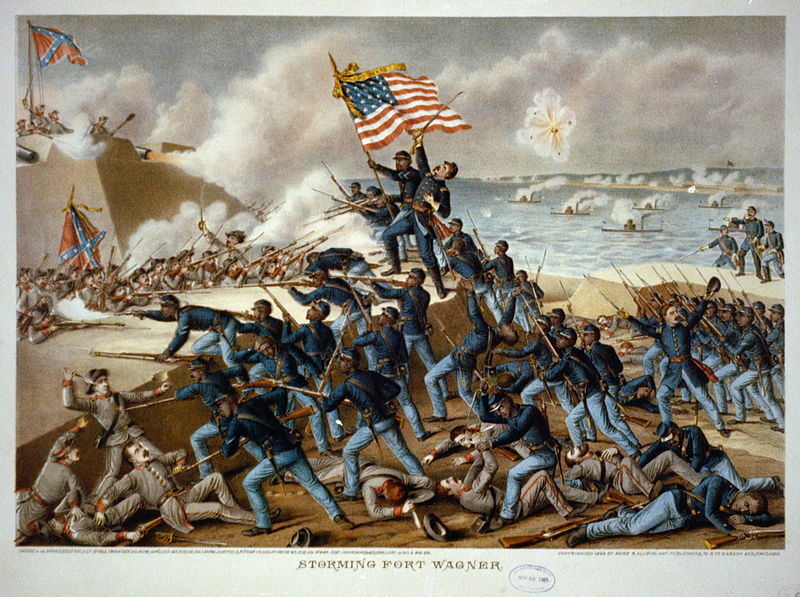 The 54th Regiment Massachusetts Volunteer Infantry was an all black regiment of the army headed by a white colonel, Colonel Robert Gould Shaw. Aside from this, many black women worked as cooks, nurses, and sometimes spies. Though not prominently talked about when the Civil War is discussed, black men and women played a part in the Union winning the war and freeing themselves from enslavement. Wow Hopey, this is a very well researched and original blogpost. I think it’s very intriguing that the slaves who fought for the south were also fighting against their own freedom, but I was additionally wondering about the percentage of slaves who ended up deserting to fight for the North after 1962. Do you think that the fighting slaves played a large enough role in the war to change the balance of the fighting?